Sagebrush country is a land of contrasts--a place of desolation and a place of beauty. 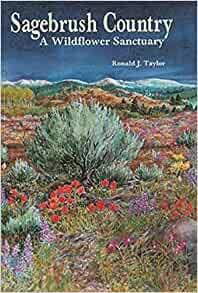 This field guide explores the elegance of the sagebrush steppe as expressed in the colorful spring and fall flowers and, more subtly, in the wondrous adaptations that enable plants to withstand the extremes so typical of this harsh environment. Through color photographs and nontechnical descriptions, this book introduces visitors and residents alike to the abundant plant life in the land of bitterbrush and coyotes. This book covers northern Nevada, northeastern California, eastern Oregon and Washington, southern Idaho, western Montana, northern Utah, much of Wyoming, and the foothills and valleys of northwestern Colorado. "Sagebrush Country is delightful. . . . It surveys most of the flowers and grasses throughout this region's lower elevations." Ronald J. Taylor is a retired professor of botany and plant ecology at Western Washington University. A field trip to the Great Basin and Mojave Deserts as an undergraduate sparked his interest in desert plants, and his research and teaching provided him with many opportunities to study and photograph the plants of the desert. 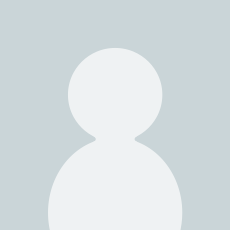 The author of numerous scientific and popular articles and books, Taylor has written four titles for Mountain Press. Recently, I had the opportunity to explore the western border of the so-called sagebrush country. According to the author, sagebrush country encompasses parts of Nevada, California, Oregon, Washington, Idaho, Montana, Utah, Wyoming, and Colorado. He has a simplified map of Western United States in the beginning of the book to allow the naturalist to quickly orient his or herself to the locations. He also describes the different vegetative zones, pollination strategies, and drought adaptations of the plants. The wildflowers are arranged by families, NOT by color. This can be problematic for amateur botanists like me who are familiar with only a few families. Each wildflower has a photo which is of good quality and most are close-up shots. The text with each flower describes GENERAL time of blooming, locations, and some interesting facts. My on-the-field experience was mixed. The photos were clear, but I found myself having to go through each page to match the wildflower, since I'm not familiar with the different families. I finally gave up, took a picture (which I do anyway for documentation purposes) so I can figure it out later. It's a decent guide, but for amateurs like me, it was not user-friendly. Perhaps nobody really appreciates what they see around their own homes when they see it. It isn't until they begin to understand the diversity and dichotomy of life that things are understood. Such is the life and world in Sagebrush Country. This book is absolutely wonderful. It is chockfull of amazing photographs and detailed explanations of the various flowers around the coulees which adorn our gorgeous side of the state. Likely I shouldn't say much lest the crowds begin to show up and do what crowds do best - trash places. Not as much of a treasury as a book on wildflowers of Michigan, since sagebrush country is pretty barren by comparison. But the book is descriptive, photos help in identification, and tell the reader that there is more in the high desert than first meets the eye. To become acquainted with the flora was my objective, and this book is a good resource. This was a gift for my brother who found a plant called hopsage and wanted help to identify it. I've had my own copy of this wonderful book for many years and it is getting some loose pages - If a new edition comes out, I recommend a better binding. But aside from that, this has been the most useful wildflower book I have with flowers not found in other books (e.g. collomia). The photos and information are both excellent quality. I highly recommend this book to anyone interested in identifying wildflowers. No this book is not as comprehensive as Hitcock and Cronquist but it is so user-friendly that it is an essential for travel in sagebrush country, anywhere in the great basin. It serves as a great starting point to find a genus when a more comprehensive resourch is available for further clarification. The addition of natural history (ecosytem descriptions) and some ethnobotany make it even better. The color photos are great for quick ids of more common plants. Here in Central Oregon it is excellent. With this book along with Andy MacKinnon's books, you can give you pretty good id coverage for most of the Northwest. Websites can fill in gaps and details effectively for most of us. Great for gardeners who use native plants as well. If you even know about this book, you will love it. All the copies I have seen have been well-used. It is a great bargain too. Highly recommended. If you're looking for a great plant regency for the western high mountain deserts, this is your book. Can't beat this classic guide to flower. . . we use if for our camping trips throughout the West. 5.0 out of 5 starsWell designed book! This is a well designed book. I love it!